Want to experience all that Ireland has to offer your tech career without being tied down to an office environment? Then remote working might be just the thing for you. 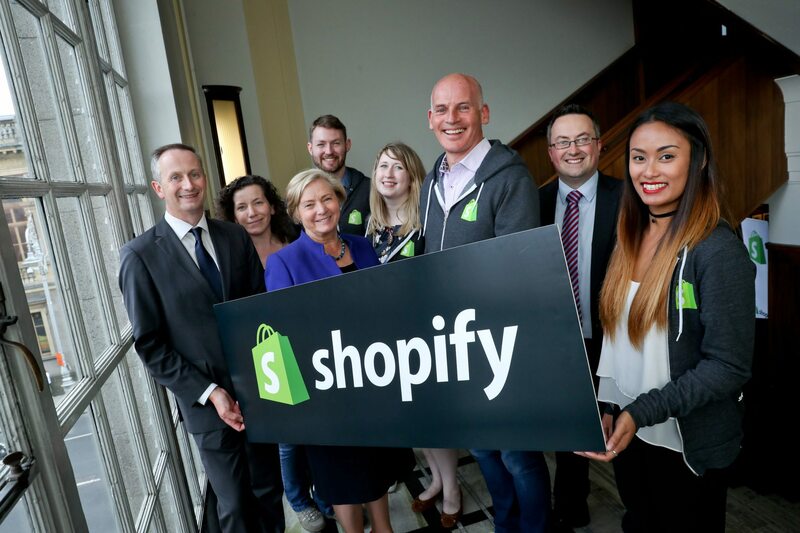 In fact, commerce solutions giant, Shopify, have been operating a 100% remote workforce in Galway, Ireland for over two years. The company now employ over 200 remote workers in Ireland. We caught up with Director of Support, John, who explained how it all works. “About 4 years ago, the company first hit a growth spurt. The founders realised that this was going to be a large organisation if the growth continued and they didn’t want to assign a large amount of real estate to it,” he explains. A savvy move, the company has continued to grow since then and now provides services to over 500,000 companies around the world. The Irish team is largely based around the Galway area with 80% of staff working remotely from the county. And if you’re thinking of moving to Ireland, Galway is a fantastic option. Located on Ireland’s west coast, the city has a bohemian vibe and is known for excellent restaurants and great nightlife. Music is everywhere – you’ll find buskers on every street corner and traditional music in many of the pubs. Venture out of the city and you’ll be hit with stunning scenery along the coast where the wild Atlantic Ocean meets charming fishing villages, sandy beaches and coves. Working remotely takes a certain amount of discipline and whether Shopify are recruiting for a customer service role or a more techie position, skills like problem-solving and the ability to think independently are key. While you’ll get all the benefits of working from home, but with a solid structure. Staff work in set shifts, typically between 8 am – 4 pm or 10 am – 6 pm. And although you’ll be working remotely- you won’t be lonely. “We schedule by team, so when you are working your whole support network are online too,” John explains. And you’ll also get plenty of opportunities to meet your team members face-to-face. “There are meetups happening organically and then once a month we have a team meetup where folks are invited to work a day in a co-working space,” he says. Added to that, the team also have a monthly meeting where they gather together for a mix of work and play. Another benefit of working remotely is once you have a good internet signal, you can work while you travel. Whatever way you like to work, Ireland has plenty of options to suit you. Follow the link to find out more practical information about making the move to Ireland.